As the night draws near the bags and candles are being setup by each campsite. A member of each team begins to light the candles. Then as the night darkens the noisy walkers around the track start to hush and silence. There is now a quiet silence and a few children is all you can really hear. 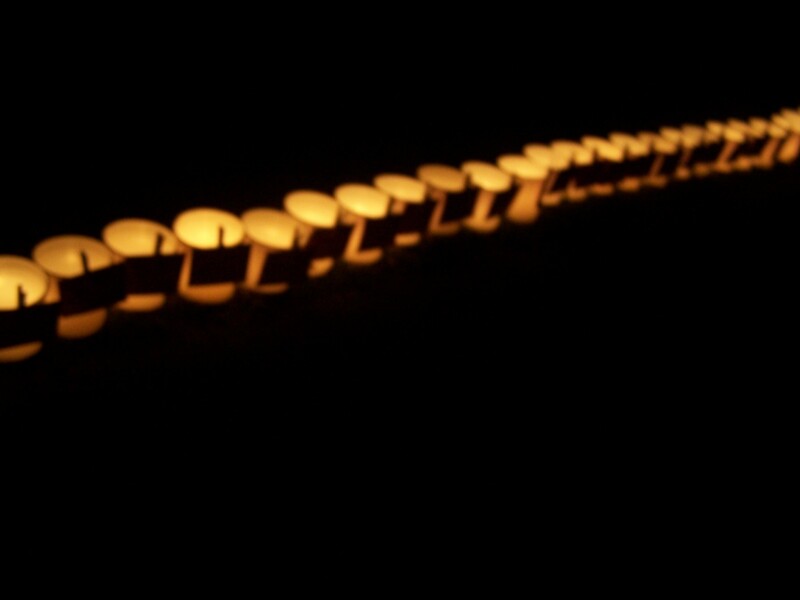 The candles now glow around the track. It’s very hard to go through this service without shedding a tear! It really hits home. I have never experienced anything like this until joining relay. If you would like to experience the luminary service it will start at 9pm at the St. Meinrad Archabbey in St. Meinrad, Indiana on June 15th, 2012. 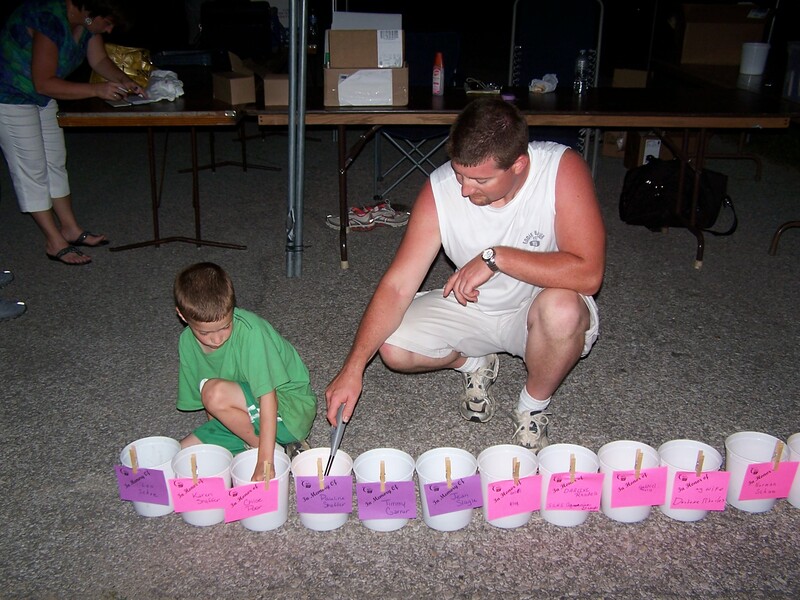 This entry was posted in Because I care and tagged Indiana, Relay for Life, Spencer County. Bookmark the permalink.